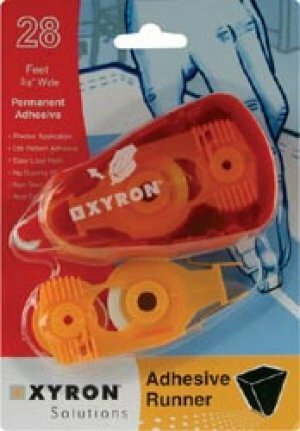 XYRON ADHESIVE RUNNER w/extra cartridge. Applies permanent acid-free adhesive. Precise application, dot pattern, easy load refill, no gummy mess. Will adhere to most clean surfaces. Easy to use and non-toxic.